Gather series is turning two years old! 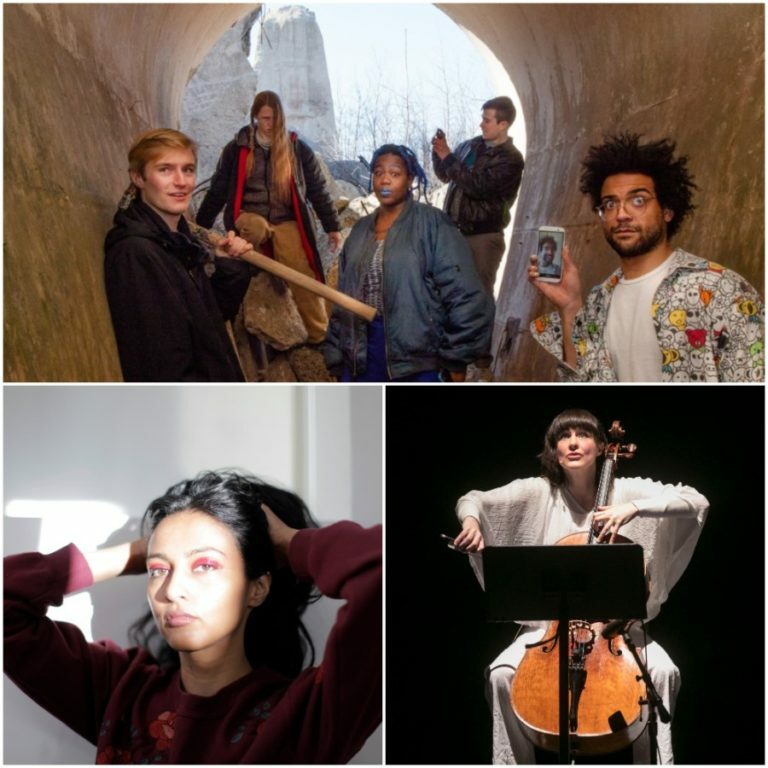 While normally housed at Logan Square’s Comfort Station, Gather is partnering up with Elastic Arts Center to close out its 2018 season with an amazing series of performances by Blackerface, Katinka Kleijn, and Lykanthea with Hanna Brock and Lia Kohl. Proceeds from this event go directly towards Gather’s 2019 programming. Lykanthea is the project of artist Lakshmi Ramgopal. Based in Boston and Chicago, Ramgopal’s explorations of sound began with the electro-ambient experimentations of her debut EP Migration (2014). Since then they have morphed into expansive installations and multidisciplinary ensembles that feature strings, choruses, and movement artists. Following the 2014 release of Migration, which garnered praise from Noisey, Chicago Tribune, and Public Radio International’s The World, Ramgopal toured Europe as a Fellow of the American Academy in Rome and made appearances at Leipzig’s Wave-Gotik Treffen, New York University, and Chicago’s Museum of Contemporary Art. The last two years have seen her focused on sound installations like A Half-Light Chorus, a four-channel sound installation in Lincoln Park Conservatory that featured a 90-minute composition of recordings of vocalists imitating Indian birds. Ramgopal’s sophomore EP is due in 2019.